College students sometimes take part in paid medical experiments to collect a little cash. Usually nothing really bad results from these arrangements. 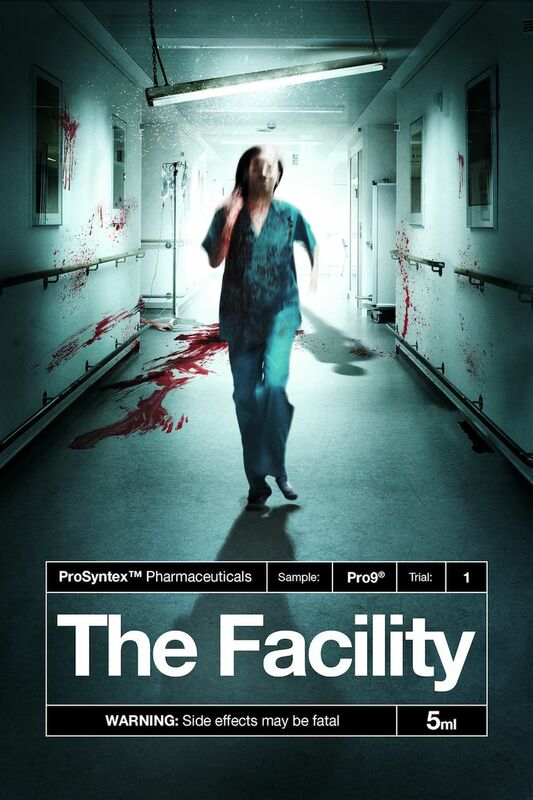 The folks in the British horror movie " The Facility" (2013) aren't so fortunate. In the summer of 2010, seven people show up at an isolated rural medical center to be part of a two-week clinical trial run by ProSyntrex Pharmaceuticals in which they agree to be guinea pigs for a new drug called Pro9. Although some of the volunteers are pros at this sort of thing ("Pharma's daughters"), it quickly becomes clear that this trial isn't the typical dull, predictable, cold study. The first participant to be given the drug begins screaming in pain and is taken away. The building goes on lockdown, and all outside communication is cut off. The patients search the building for answers and find bloody bodies of staff members. 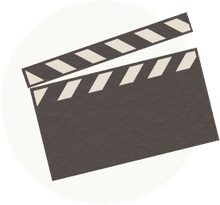 The drug has turned the first guinea pig into a raving homicidal lunatic and before they know it, the second receiver of the drug begins acting similarly. Then the third. It's up to the group to figure out how to get help before they all turn and escape into the unsuspecting public. "The Facility," written and directed by Ian Clark, is basically "The Crazies," "28 Days Later" or a dozen other similar films in a confined setting, with the intriguing twist that the people involved know they will all turn eventually (well, until it's revealed that some were given placebos), and they even know ​what order they'll likely turn. There's a wealth of dramatic potential in this scenario, but "The Facility" fails to fully mine its depths, successfully conveying the conflicting emotions and tragedy of the circumstances only in the climactic moments. You could forgive some of the dramatic misfires, though, if the horror aspect was more gripping along the way. The plot calls for moments of utter shock and repulsion, but while there are tense scenes, they are too few and far between, and the payoff is never as powerful as it should be. Thus, the film struggles to generate a sense of danger—especially at the beginning of the outbreak, when there are only one or two infected participants roaming the halls. Couldn't five people overpower two crazies—not to mention the fact that there are several staff members who could jump to help? The logic of the characters continues to be troubling later on when the two placebo patients somehow think it's a good idea to split up, each pairing up with someone who will turn into a murderous maniac at any moment. It's a testament to the cast—led by Aneurin Barnard ("Citadel")—and to the film's professional look and compelling concept that "The Facility" nonetheless manages to be involved throughout, even if it's not the stark slice of terror it should be.